The Nature-Accelerator, developed by ECOSTAR and powered by Fledge, accelerates impactful startups through an intense programme of entrepreneurial, technical and scientific mentorship. This programme is the first “nature-based” accelerator of its kind and it is designed to guide entrepreneurs along the complex path to improved revenues and financial sustainability. We are looking for early-stage impactful startups that are creating sustainable solutions to innovate the agriculture, forestry, natural resource and ecotourism sectors. Find out more about the business models that are particulary welcome in the accelerator by reading *Key Concepts of Business Models* paragraph. The Nature-Accelerator will provide 8 selected startups with an “All-Inclusive” Investment Package made up of € 15.000 seed funding and € 25.000 service value (working facilities and acceleration services). For a total of € 40.000 investment. 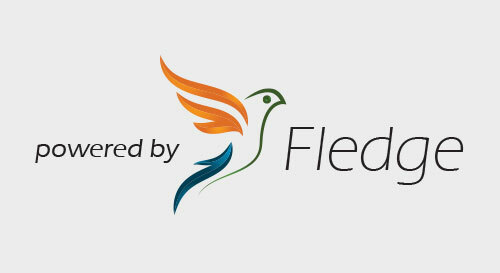 Entrepreneurial online training provided by Fledge (from May 2018). Based on The Next Step series of books, this is an MBA level curriculum in entrepreneurship covering all the key topics needed to build a viable business plan and operate a successful business. 8 weeks acceleration services. 1-to-1 mentorship sessions, workshops & seminars, perks from technical partners, meetings and other activities with Industry & investor Partners (From June till July 2018). Find more about the location! Access to impact investors and scientists and business mentors’ networks provided by ECOSTAR and Fledge (+550 mentors worldwide). A series of social events: investors Cocktails, field trips and team building activities. A demo day where the teams are on-stage telling stories of their impact. Follow-on investments: startups will also have the chance receive follow on investments with a range of 50-200k. Worldwide, most innovative businesses base their success on creating value through better use of intangible assets, especially in the IT and financial sectors. Considering that ecosystem services constitute the most valuable intangible assets on earth and that the global demand for “nature” is increasing, we can assume a next generation “bio and circular economy” based on Natural Capital investments and marketing of ecosystem services and biodiversity. The agriculture, forestry and natural resource sectors are called to a paradigm shift, from providing “products” to delivering “services”. The challenge of The Nature-Accelerator is to improve the provision, access and market of these natural services! Ecosystem services and biodiversity: Ecosystems Services (ES) are the many different benefits that ecosystems provide to humanity, from food, clean water and flood protection to cultural heritage and a sense of place, etc. Decades of research have shown that biodiversity plays a vital role in ecosystem functioning, and that processes such as capturing essential resources, producing biomass and recycling nutrients, are all impaired as biodiversity declines. Impact driven: No compromises! Compulsory positive social, environmental and governance impacts. The Nature-Accelerator is powered by Fledge, a community of impact investors who share our vision in helping foster businesses that do good through for-profit businesses. Social Innovation: Social innovation refers also to the creation of new forms of networks and practices among people and organizations in response to societal, economic and environmental challenges. Innovation doesn’t happen only with technology: people, institutions and networks should be at the core of any innovative, socially-driven business model. New technologies: new business models should take advantage of the concept of “Industry 4.0” which goes with the current trend of automation and data exchange in manufacturing technologies. It includes cyber-physical systems, the Internet of things and cloud computing. Circular and bio economy: Re-thinking the economy, a continuous positive development cycle that preserves and enhances natural capital, optimizes resource yields, by minimizing risks and increasing renewable flows. Currently, more than 40 nations worldwide are proposing actions and strategies to boost their bioeconomy. In Europe, the bioeconomy is already worth EUR 2 trillion in annual turnover and accounts for more than 20 million jobs (EC, 2012). The bioeconomy is expected to grow to a market value of EUR 40 billion and 90,000 new jobs in 2020. 1. As redeemable equity, where the startup gives 6% of its shares in exchange for the seed investment. The shares are then bought back using 4% of future quarterly revenues. 2. In the form of a loan, where the startup receives the seed investment as a debt financing and pays back using 4% of future monthly revenues. These two investment structures are designed to make ECOSTAR a partner in each ECOSTAR team, sharing future success, with the incentives aligned with the founders, aiming to create sufficient, sustainable revenues to keep the business operating and growing. This Accelerator Model is not reliant on an “exit”. It succeeds when the ECOSTARs succeed, earning revenues from customers. And if the business does not succeed, nothing is owed to ECOSTAR (beyond anything already repaid). Be innovative, be involved, be inspiring… Invest in the first-of-its-kind accelerator that will help startups to increase the value of nature! INVESTING – Customized and profitable sustainable investment opportunities in our selected startups. Contact us to receive a tailored proposal! An international alliance of innovative businesses, top research centres, and impact investors is the key element for a successful and innovative programme: The Nature-Accelerator.